Some scattered Copelandia cyanescens, Thailand. a few growing on a buffalo farm area. was this from a recent trip .........? Hi, I have not been able to fly more than a few hours anywhere since my accident in the fall of 2007. I injured my spine and lost my right elbow which shattered into over 100 splinters. I now have a titanium elbow which does not go off when I go through airport security. Love seeing them in situ, thanks for sharing MJ. Always find your info thurough and educational. Your accident does not sound fun! Not doing so great lately, Just stopped by to say hello, My website is probably coming down next month.I no longer can afford to keep it going. Erowid said they would host it for about 20 years when I die but they have not contacted me since about 4 months ago when they offered to host my site.The domain name expires so does my site. Tried to friend you on Facebook but never go a response. When does your domain expire? How much is your current host a month? HI ROc, I ams orry about Facebook. I have no idea if you used a real name or the name Roc. I do not always see those who ask to be befriended. I have now over 600 requests and I do not let many in now. i was hacked again a year ago and someone added over 1000 people into my pages that I do not know,. and some creepy ex Shroomery trolls as well. Send me a pm message at Face book under John W. Allen. I also have a secret shroom group and an Amanita group and two art groups as well. Erowid took over my website for me and I also gave them a lot of articles that they did not have the full papers on, And also my vol. IX of my journal which is still available somewhere on MAPS web site. I am now going to attempt in a separate thread, download a 16 minute interview that took place one day after I was robbed in Amsterdam in 1999. Luc Sala, a Dutch entrepreneur of new age sub culture history interviewed me in the Tropen Museum in Amsterdam about magic mushrooms. I am not sure how to download the video here from my computer. So I hope it will appear here. This video is the property of Luc Sala and it has been on You Tube for years under a mistaken URL that was no good and a wrong name. I just learned of it a week ago after contacting Luc Sala in the Nederlands. Luc also is the author of a book on shrooms for the Dutch in the Nederlands called "Paddos: Our Little Brothers." 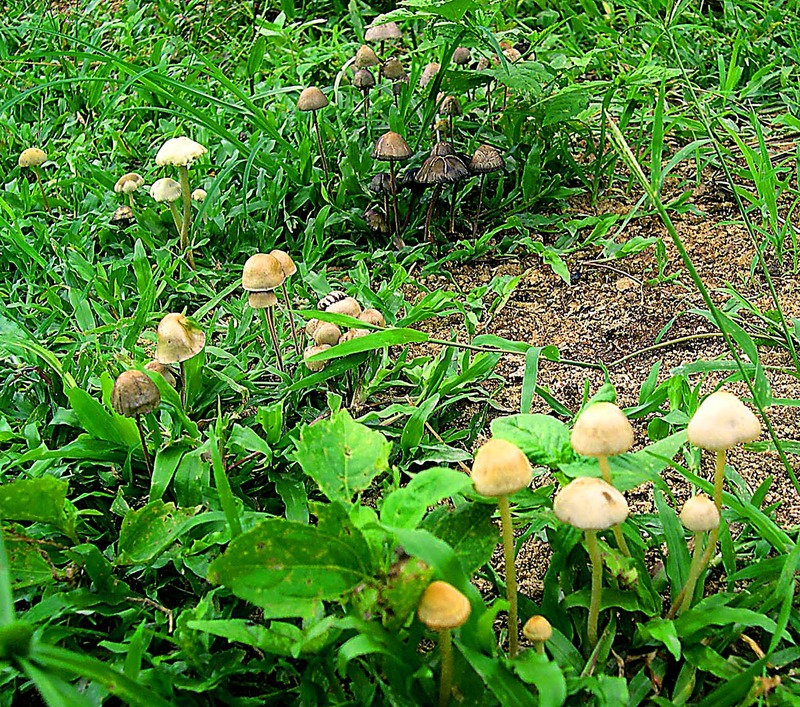 Paddos is a Dutch slang term used to describe liberty caps and other magic mushrooms. The book was published in both English and in Dutch at the same time and Luc Sala was very kind and gave everyone at the conference who attended a free copy of one or the other versions of the book. I post here his picture of the front and back cover as well as the index to his fine book. The first ever published on how to have a good trip and how to let your parents know you are safe. Well it seems I do not know how to post a picture here anymore unless it is in a new thread where I have a download option. I do not know how to use this format Roc. I am glad to hear your site will be maintained by Erowid! If Luc Sala video is on YouTube you can link it here by simple posting the url. I remember when you were robbed in Amsterdam. Is this the video you are looking for John?